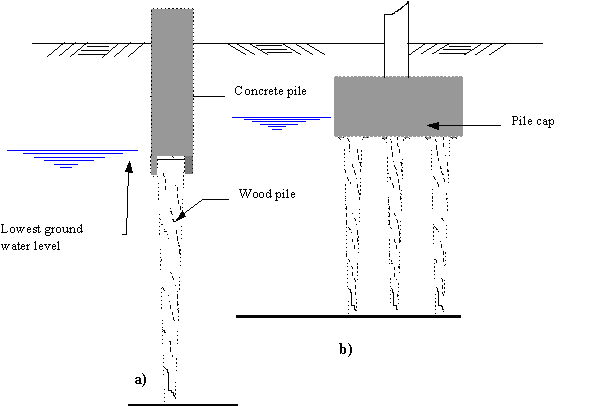 material and load transmitting characteristic piles are classified accordingly. through the invention of steam and diesel driven machines. driving systems. Today there are many advanced techniques of pile installation. 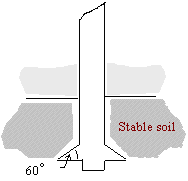 estimated settlement is not acceptable a pile foundation may become considered. any other compared ground improvement costs. water, such as jetties or bridge piers. 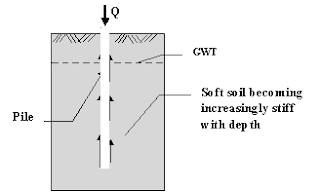 contact with the shaft of the pile (see fig 1.2). 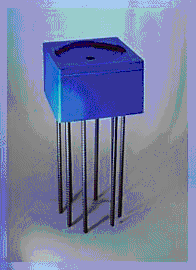 amount of load which it is intended to immediately after it has been driven. 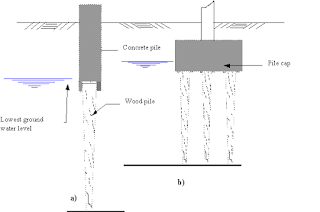 of pile foundations are commonly known as floating pile foundations. length (fig 1-4 a) . This will not decrease the design load capacity. more popular than the ordinary pre cast as less reinforcement is required . 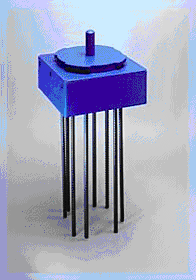 accurate dimensional tolerances from high grade steels. rammed until the pile top comes up to ground level. pile is installed under the ground water level (see figure 1.7). 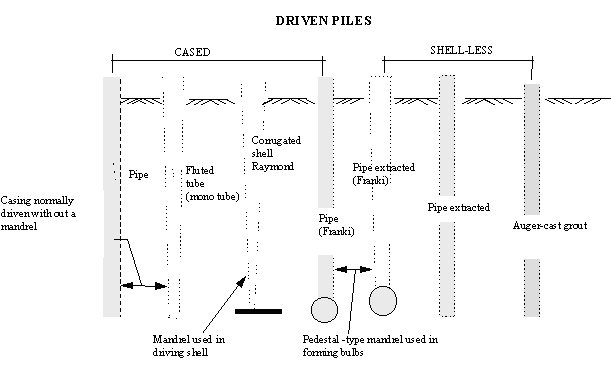 respect to effect on the soil***A simplified division into **driven **or bored piles is often employed. as gravel the ground requires temporary support from casing or bentonite slurry. 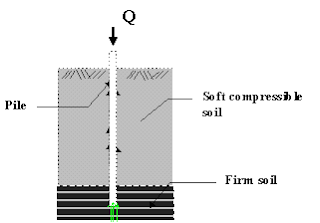 rotated into the granular soil, and hence produced a grouted column of soil. 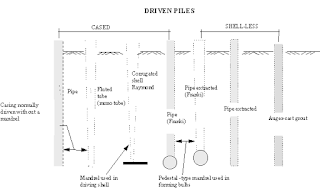 particularly pre-formed piles and grout or concrete intruded piles.